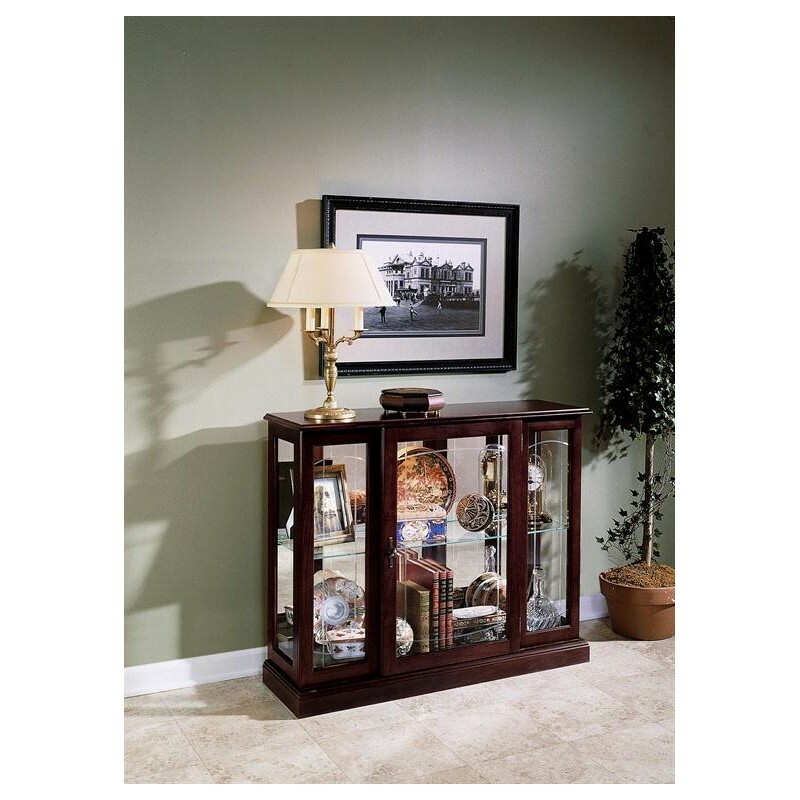 At 33 inches high, our curio console reserves prime wall space above for hanging a favorite print or painting. Or you may place it behind a sofa to add interest to the center of a room. Our mirror console is built of select hardwood veneers and solids and a dark Ridgewood Cherry finish. 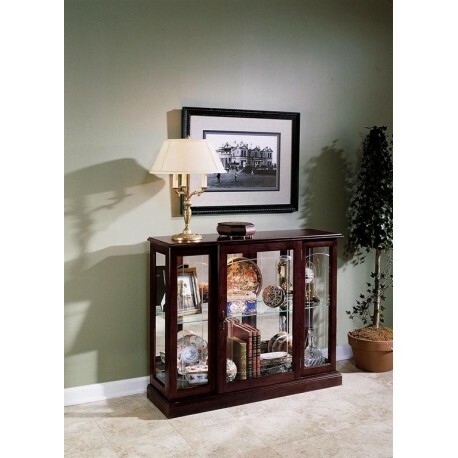 The console features elegant patterned beveled glass on the front. It has a mirrored back, interior lighting, and one adjustable glass shelf.